Murder At The Presidio is a routine mystery. 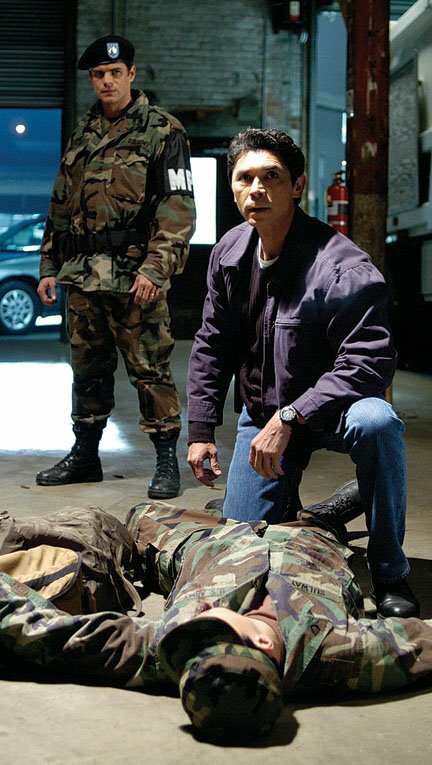 Lou Diamond Phillips plays James Chandler, a detective who is looking into the murder of a woman on a Navy base. When he gets too close, the Army becomes an enemy for him. Phillips is very charismatic in the role. 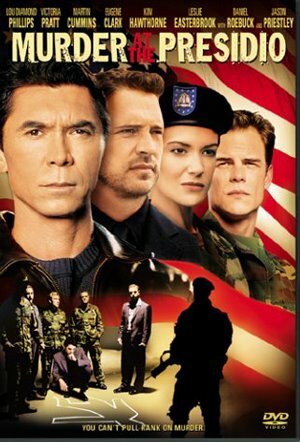 Jason Priestley is underused. The story and characters are mostly one-note. You know their every word and action ahead of time. It's a little more suspenseful then The Presidio (1988) but that's not saying much. In the end: If you like LDP, it's worth seeing, but that's it. Renegades (1989) or Boulevard (1994) are better choices. It's something you see on Lifetime Movie Network in the afternoon.